Durango Barbershoppers are celebrating their 50th anniversary this year. They’ll be performing this weekend in Bayfield and Durango. 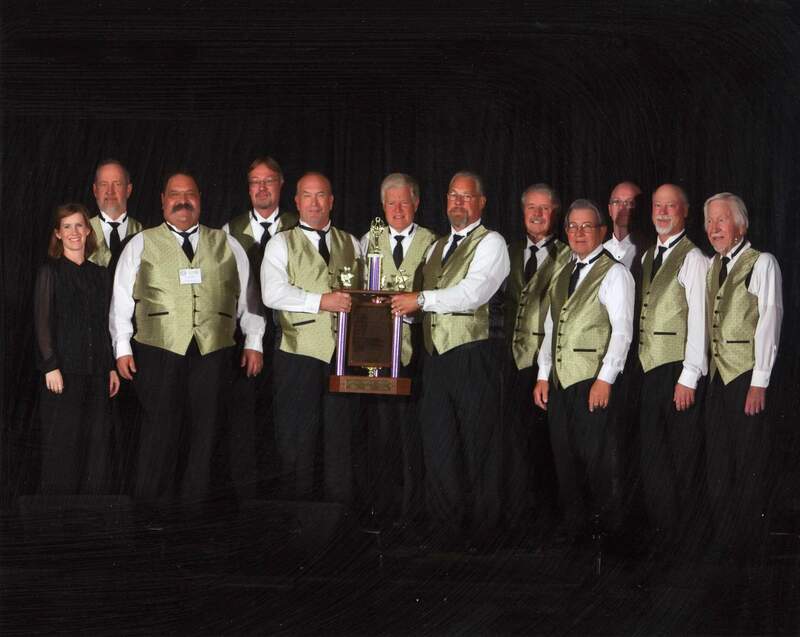 The Durango Barbershoppers pose with their “Best Small Chorus” trophy in 2011 at the Rocky Mountain District Spring Competition of the International Barbershop Harmony Society. The year 1968 is mostly remembered for turmoil in the United States: Martin Luther King Jr. and Robert F. Kennedy were assassinated, we were knee-deep in the Vietnam War, and civil unrest was rife. However, the year had its bright spots, too, including the birth of the Durango Barbershoppers, an organization that, 50 years later, is still performing. Weaver, who has been with the Durango chapter since 2010, said the men interested in forming a group knew there was a national organization, and so they went around looking for enough men who enjoyed singing to join their group. They ultimately became an official chapter in 1968. And as the world has modernized since 1968, so, too, has the group: There are three women members who will sing with the chorus for the first time this weekend, Weaver said. Important to the group’s longevity, he said, was the unwavering commitment of Durango’s “Godfather of Barbershop” Carroll “Dr. Pete” Peterson, who died at age 86 in 2016. Weaver said the group currently has 20 members, and they’re always looking to add to the ranks. He said in the last few years, they’ve had a number of young people join the organization, and they currently have one teenage member. The group practices every Tuesday night at Christ the King Lutheran Church in Durango. The Barbershoppers will perform two shows this weekend: Friday night in Bayfield and Saturday night at the Community Concert Hall at Fort Lewis College. Traditionally, the group performs only in Durango, but it has extended its show into Bayfield during the past three years as a way to bring barbershop music to the town and to find potential new members, Weaver said. 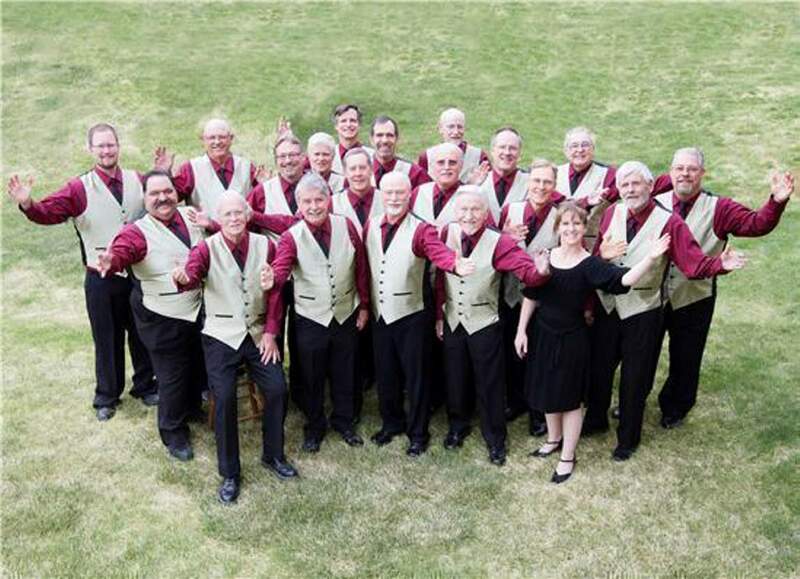 The shows, he said, will include performances by the Durango Narrow Gauge Chorus, which is the name of the men’s chorus, who will sing a variety of songs – “a couple of real old-timey” songs mixed in with some newer material. Also invited to perform are any and all past members of the chorus. Women’s Prerogative, which is the women’s chorus, will also take the stage, as will three local quartets made up of chorus members and other local people. Rounding out the bill are two national quartets, Blue Steele from Albuquerque (will perform both nights) and Storm Front, a barbershop quartet that focuses on comedic and lighthearted music (will perform at the concert hall only). For Weaver, keeping the legacy of barbershop music alive is important because it’s a part of American history. What: Durango Barbershoppers – Barbershoppers 50th Anniversary. When: 7:01 p.m. June 8 at Bayfield High School Auditorium; 7:01 p.m. June 9 at Community Concert Hall at Fort Lewis College. Tickets: $20 adults, $10 children younger than 12, available online at https://bit.ly/2kDhy61 or by phone at 247-7657. More information: For information about the shows or to become a member, visit durangobarbershoppers.org.